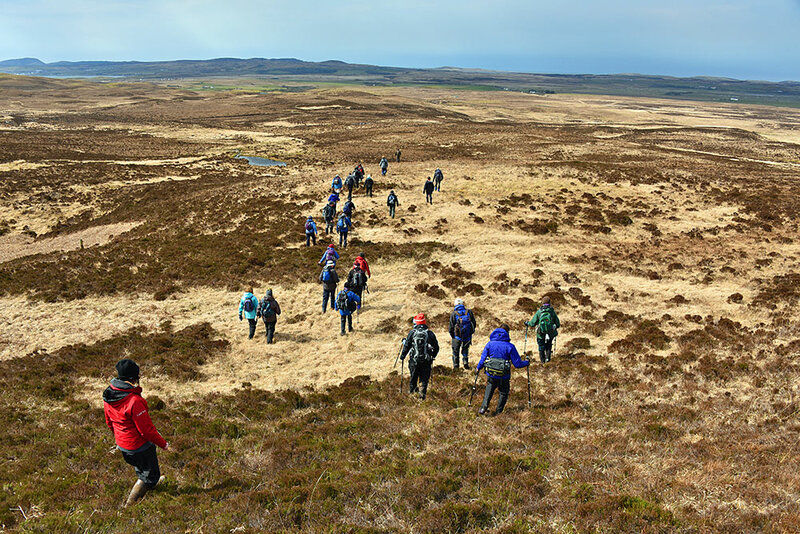 An impression from the Islay walking week 2016, walking in the hills north of Bridgend. We are making our way towards Gleann Mór descending from An Carn having walked up from Knockdon. In the distance on the left you can just make out Loch Indaal. This entry was posted in Cloudy Weather, Landscape, New Post, Sunny Weather and tagged Bridgend, Islay, Loch Indaal by Armin Grewe. Bookmark the permalink.